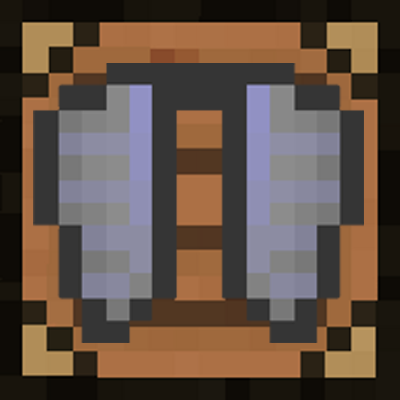 This mod allows the player to craft the amazing elytra! If you want me to respond or see your comment please visit my forum thread on the Minecraft Forum link above, I am more active on there and I am more likely to be able to respond to your comment/problem. I would like to see something like in morph, an option to disable the recipe util an event like killing the ender dragon, a wither, or finding one. I could look into making a config for the mod. I was able to craft the wings. But couldn't fly with them. Double tapping space bar wouldn't let me fly. I checked the Controls to see if a hot key was assigned, nothing there. Not sure if mod is broken or if I'm just not using it right. Sorry, my mod doesn't modify the vanilla code at all it just adds in an item and a recipe, your probably doing something wrong. will there be a 1.9.4 version? If you read the post it says "If your want me to respond or see your comment visit my fourm thread on the minecraft forum link above, thanks!" I will not reply to posts on this page, go to my minecraft forum thread. But since I have this reply i mid as well answer your question; Yes I will update the mod to 1.9.4, Yes I will setup a config, Yes I will get the mod to work for 1.10 when a stable forge version is released. Please understand this is just a hobby and I made this particular mod for fun, I will get to this project when I do, I mainly work on my 1.7.10 mod NiftyBlocks thats why I haven't really gotten to working on this. I hope you understand. My bad, thanks for replying and thanks for releasing 1.9.4 version. 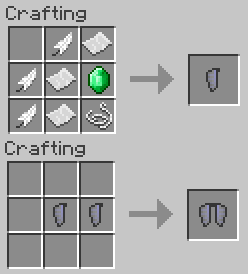 Apart from adding in an Elytra crafting recipe, are you planning to add in any other mechanics or items relating to Elytra? Possably, I'm not exactly sure what but if you can suggest anything I can see about adding it. And to anyone wondering why I haven't updated the mod, I'm currently switching from my mac laptop to my new pc and I have only taken my main mod I work on (NiftyBlocks) so I still need to take the rest of my files over. Also, an useful (but probably too complex) suggestion could be a variant or upgrade of the Elytra that allows you to glide through water. The appearance of the item would be much like fins and instead of having to jump from a height, propulsion could be achieved by pressing the forward key/space bar. Pressing shift would deactivate the "flight". If you could take these suggestions into consideration, that would be greatly appreciated. Well the elytra you get from crafting is the vanilla elytra not some special elytra, I can't edit the vanilla code as far as I know so I can't help you there. Although if i could do this I would definitely consider this. However I was thinking of adding in a elytra in my 1.7 mod NiftyBlocks so I could add this feature in if you want. Ive already said id do that. i know but will you add the wing? Can you include some vines in there?They we`re meant to be bug wings,aint it? so when will you update mod?